In ancient times it was the gold of Romans: salt was fundamental to store and keep food in a safe and sane condition. It was also a payment way: taxes could be paid with it and even the Italian word “salario” comes from that. That is why its importance is even more ancient than the Roman age. Salt comes from water: a long process of evaporation let the salt come up so that can be harvested. The need of water limited the areas where salt could be produced and moreover the production systems were not the same and consequently even the quality of the product was different. 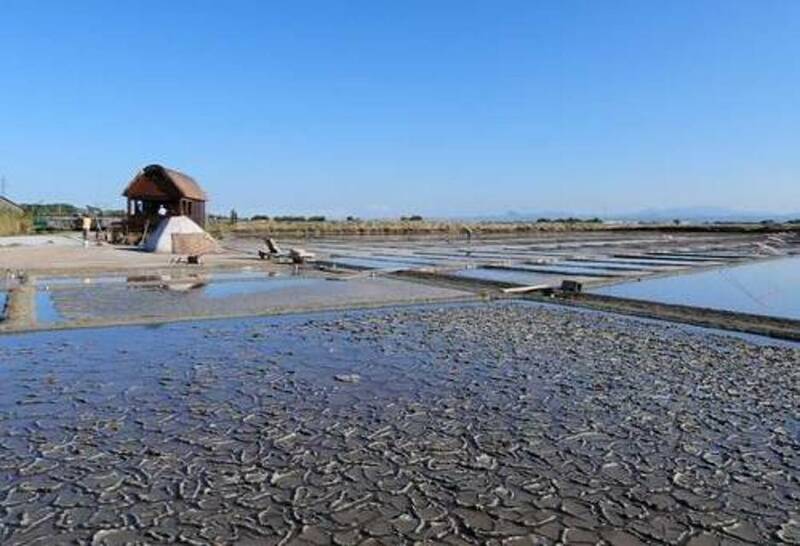 The Salina "Camillone" is the only survivor of 150 original saline that existed until 1959, when the process was industrialized, and still produces 1,000 tons of salt. It is a very small one but, thanks to the expert volunteers that used to work for years as “salinari” (salt pickers), it still produces the sweet salt that, by now, is one of the fundamental elements of every great chef cuisine, all over the world. The picking is a very special moment: men, all strictly barefoot, handle a kind of long rake that move gently on the surface, where salt is emerging, to separate it from the water mixed with mud that lies beneath. As the salt is done, it is put in a wheelbarrow of wood, and then placed on a boat of iron called "burchiella". Even today, after the harvest, the salt bring a gift to the Pope a lot of salt, in honor of the ancient tradition born in 1444. 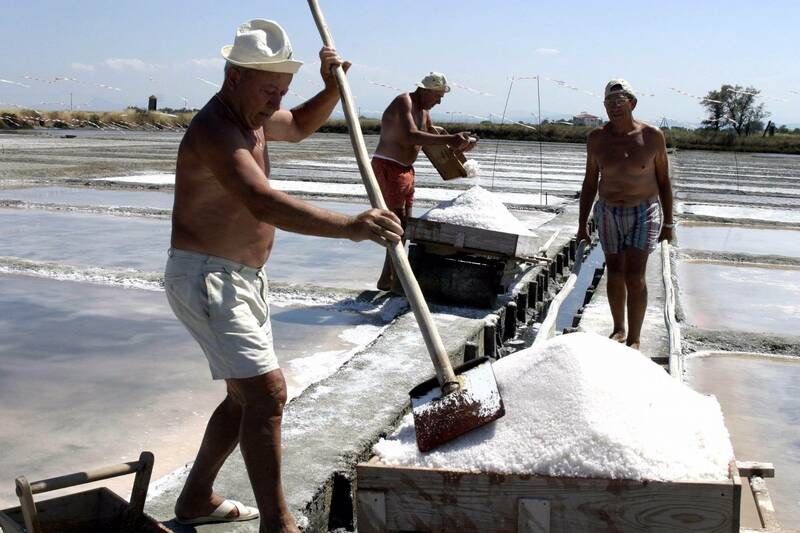 The salt is harvested once a year (in August) and its processing excludes bleaching, grinding and any additive. The drying takes place naturally and the washing bend only seawater with high salinity. Its sweetness comes from the purity of sodium chloride and the lower presence of chlorides that makes it unique and sweet, keeping its salting capacity. This sea salt is very soluble, thanks to its natural moisture, it is said "integral" because it remains very rich in all the elements present in the water such as iodine, zinc, copper, manganese, iron, calcium, magnesium and potassium. Visiting a salina is a jump back into the past of this unveiled and rich area called Romagna.